US Defense Secretary Ashton Carter has called for creation of a "principled security network" for Asia. “Forward thinking statesmen and leaders must… come together to ensure a positive principled future,” he said at the Shangri-La Dialogue, a regional security forum in Singapore on Saturday, adding that the network he envisaged could also help protect against “Russia's worrying actions” and the growing strategic impact of climate change. Any action by China to reclaim land in the Scarborough Shoal, an outcrop in the disputed sea, would have consequences, Carter warned, at the same time threatening Beijing with isolation. “I hope that this development doesn't occur, because it will result in actions being taken by the both United States and… by others in the region which would have the effect of not only increasing tensions but isolating China,” he said. He further elaborated that China’s actions in the South China Sea are already isolating it at a time when the entire region is coming together and networking. “Unfortunately, if these actions continue, China could end up erecting a Great Wall of self-isolation,” he warned. The US defense secretary however said he would welcome China's participation in a “principled security network” for Asia. Meanwhile, one of the most important agendas of the recent ASEAN-Russia Summit was reconstructing the Asia-Pacific security architecture. The Association of Southeastern Asian Nations (ASEAN) is concerned about the ongoing US-China rivalry in the region. “The United States has been conducting its “rebalance to Asia” strategy, most notably by enhancing its role in maintaining the security order,” The Diplomat magazine says in its analysis on the issue. 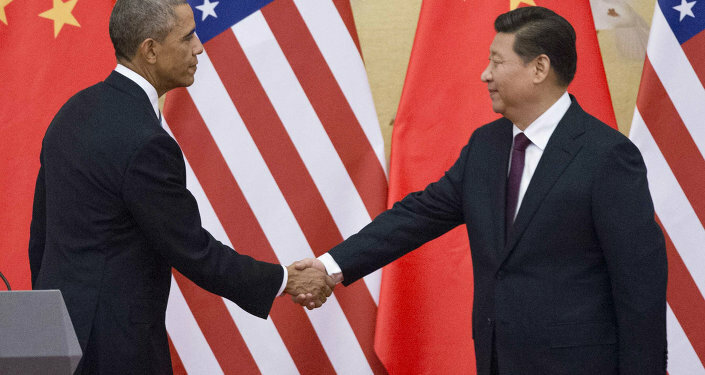 “Despite statements to the contrary from Washington, many in the region believe this policy, coined by the Obama administration, was intended to contain China’s growing power in Asia. The rivalry between the two great powers is undoubtedly shaping the security order in the Asia-Pacific,” it says. However, the outlet adds, ASEAN believes that the future of regional security cannot depend upon two great powers. The bipolar moment has ended while many developing countries have risen. In this multipolar world order, the regional security architecture should become the responsibility of all countries. The outlet further explained what role ASEAN sees there for Russia. “Accommodating Russia in the managing Asia-Pacific security would split the concentration of power in the region,” it says. The more major powers are involved, the more difficult it is for one country to dominate. This argument challenges the classic balance-of-power logic, which assumes that the concentration of power in the hand of two great powers – bipolarity – is more stable than multipolarity. “But letting China and the United States act freely in the region risks repeating the situation in the Cold War era, when many countries were forced to choose among three options: being an ally, enemy, or neutral,” it says. In order to prevent this “back to the future” scenario in the Asia-Pacific, ASEAN needs Russia and other rising powers to prevent both China and the United States from dominating the region as they wish. Aside from being a major power, Russia could also play a crucial role in establishing the security architecture due to its foreign policy agenda in the region.